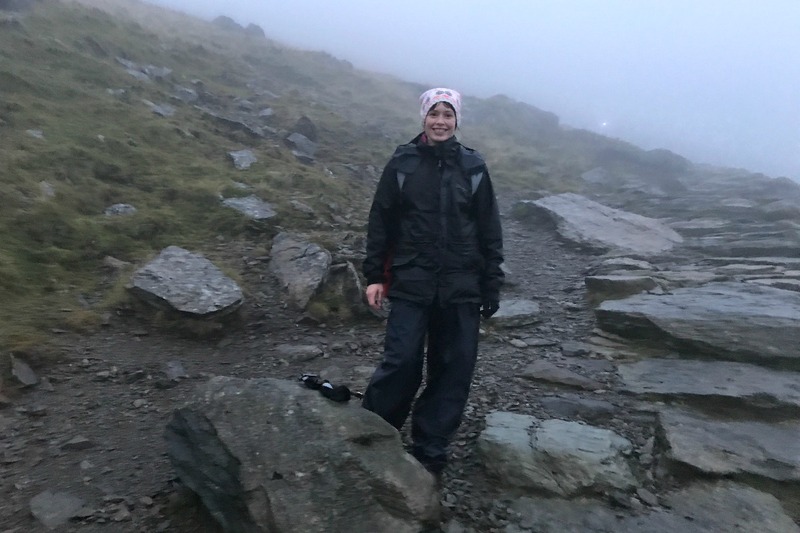 In the early hours of Saturday, I joined a group walking up Snowdon, the highest mountain in Wales, to raise money for a fantastic cause. The group was from Wirral St John’s Hospice, the place where my late husband Roger was cared for and eventually died in July 2015. I had been thinking of how I could raise money for the hospice when I saw the challenge advertised on Facebook. Although I’ve moved away from the Wirral I have so many connections there and the one with the hospice is one I want to keep up, to feel I can give something back after the indescribably sad yet supportive experience my family had there. 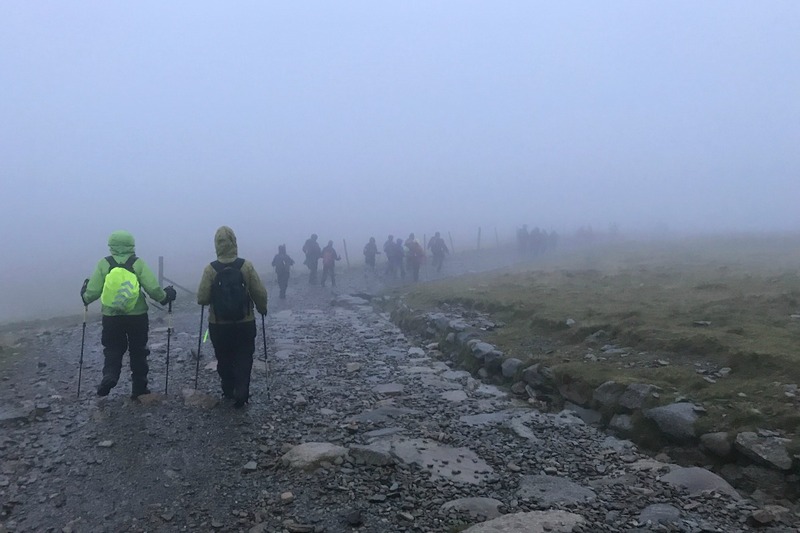 This challenge was called Sunrise on the Summit, something which as a group we decided was against the Trade and Descriptions Act as although we got to the summit there was certainly no striking sunrise only heavy horizontal rain, strong wind and pitch darkness! 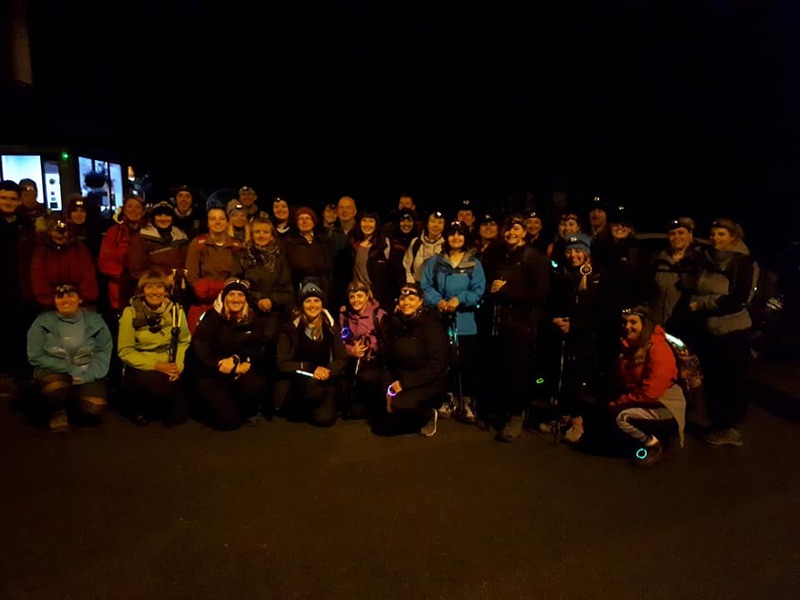 We set off by coach from the hospice in Higher Bebington at about 10.30pm on Friday night to arrive in Llanberis in Snowdonia a few hours later. 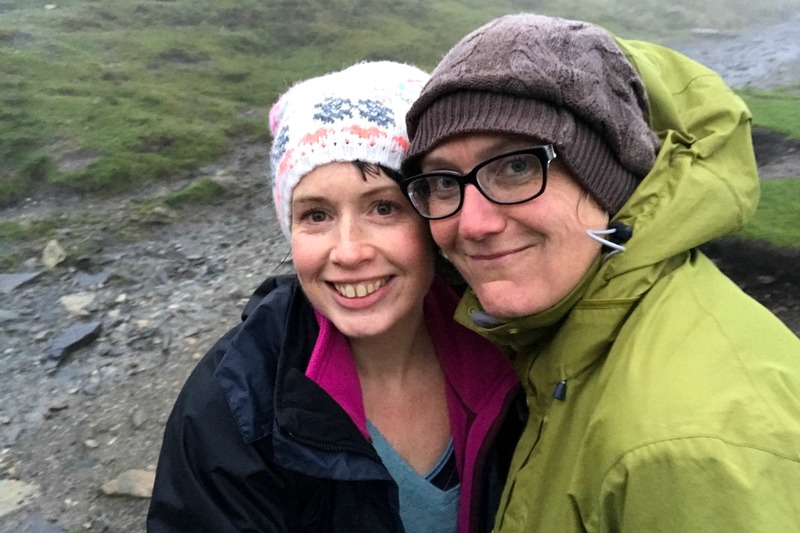 As a group of 37 we piled into the warmth of a hotel – The Padarn – to wait for our guides (Raw Adventures if you’re thinking of doing something similar). 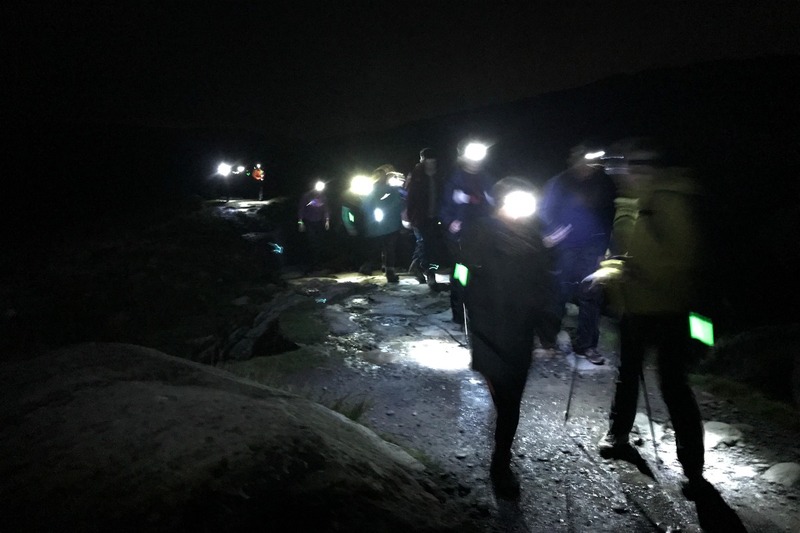 After making sure we all had the right waterproofs, head torches and warm clothing we had a team talk where the climb was made to sound much harder and steeper than I was expecting. I mean I see myself as pretty fit, I like to run and walk a lot around Yorkshire where I now live. I managed (or slayed, as millennials would say) a two-week trekking trip in Peru before I had kids, where I encountered/endured a day of hiking with a sickness bug and several stops to either puke behind a rock or sleep beneath a tree along the way. I could do this, I had it covered! 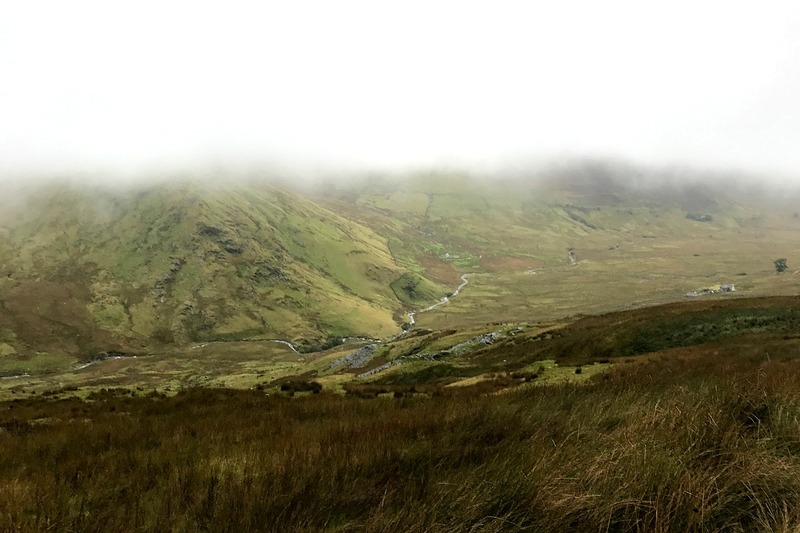 Snowdon is 1,085m high and there are several ways up. Setting off at 2am we took the Llanberis path, which is about a 10 mile walk up and down and supposed to be the easiest and most popular route with spectacular views. Most of the walk was done in the dark however, so it was hard to tell. 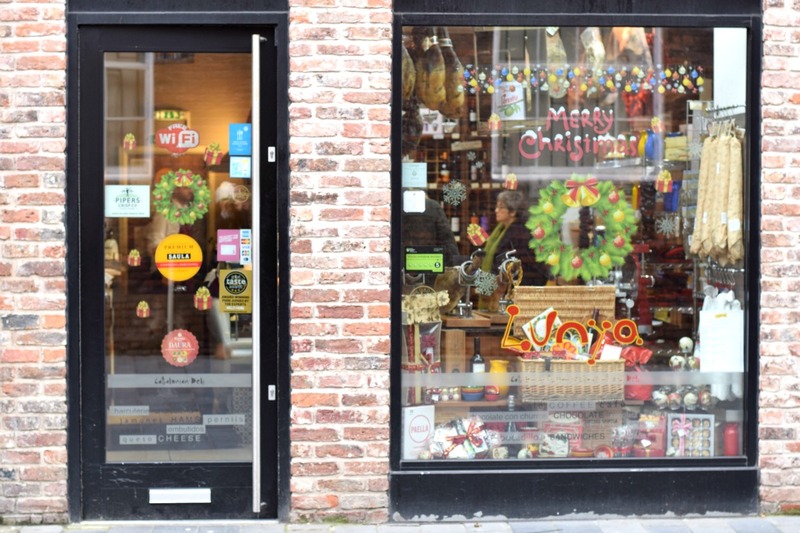 We stopped a few times on the way up for team talks and for a quick drink or snack, once at a closed up tea shop which I really would have loved to have bought a brew (or even a gin) from. You can take the girl out of Yorkshire and all that! 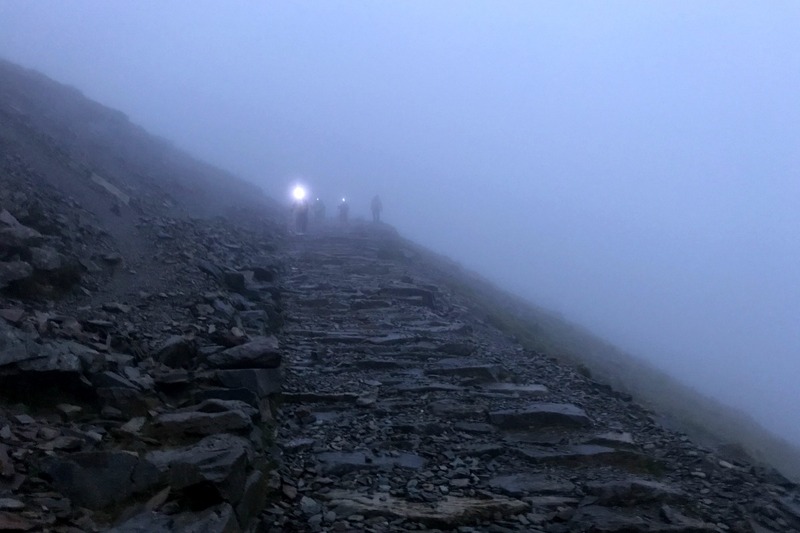 Before I start can I just add this disclaimer; this is not at all a technical report of how to walk Snowdon in the dark, and having decided not to haul my Nikon camera up the mountain my photos are pretty fuzzy. I’m not sure I could have taken better ones to be fair, as it was so dark, foggy and wet and at times I could barely feel my fingers. But hey, better to use some fuzzy pictures than not at all I reckon. Before we went I had been watching the weather forecast and it was predicted heavy rain and thunder for the entire walk. With this in mind I guess I had kind of presumed the worst so was really happy when we set out and the weather was dry, mild and really nice and fresh for a walk. As we all ascended with head torches on and glow sticks tied to our bags, it was hard to see who was who as it really was pitch black and you could barely see beyond the path you walked on on each side. 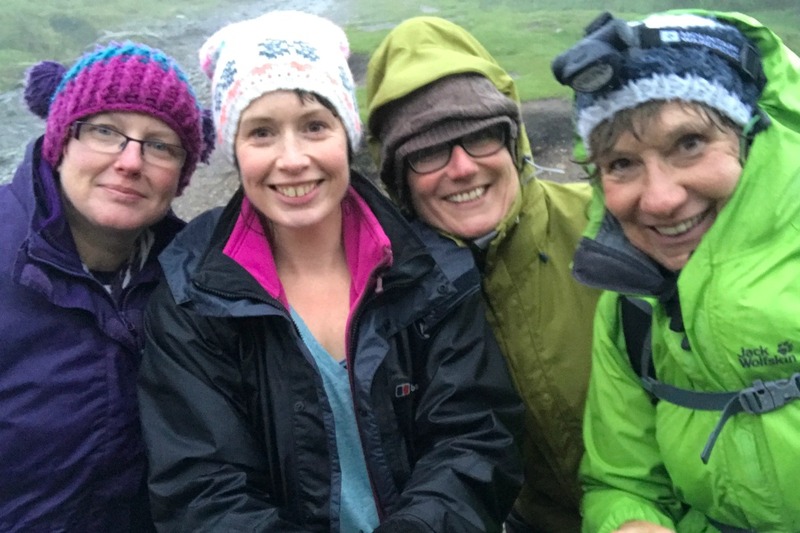 I started off only knowing one person – the fab Judi who works at the hospice who has supported me through a lot – but soon got to know others and spent most of the time walking and chatting to Sam who is a fundraising manager there and her lovely mum Linda. Sam said at times she was worried about the drop to the side of the paths, but I think because I couldn’t see it it didn’t really bother me. 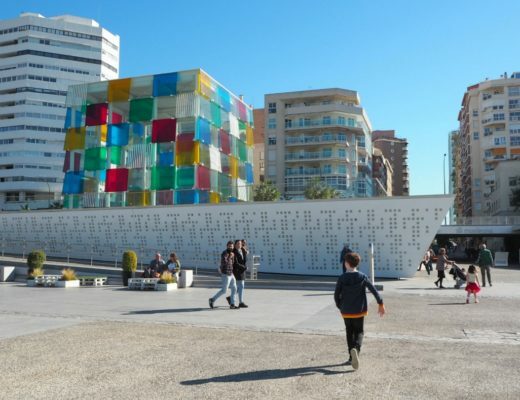 Ignorance is bliss after all! The photo below shows me with Judi, Sam and Linda, almost down and looking victorious! The climb was pretty steady for the first hour or so until about 3.45am when it became really steep and the heavens opened. 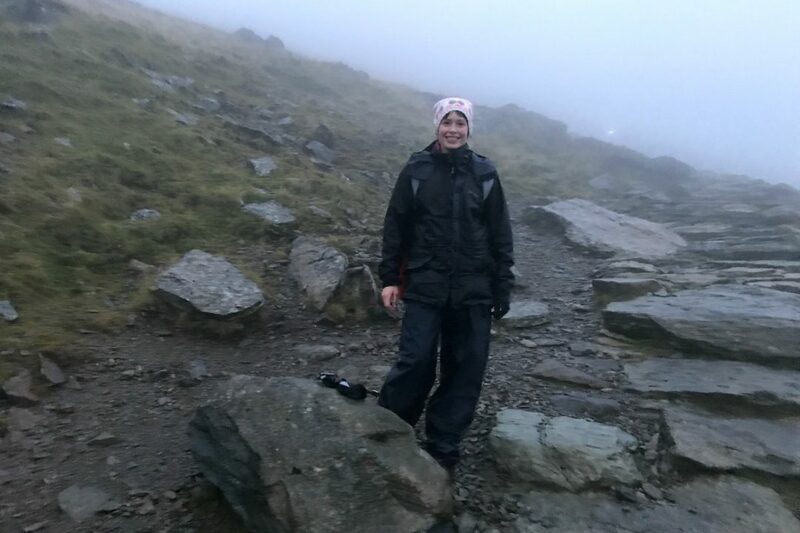 After a scramble to put on our waterproof trousers (lucky mine were massive so could fit over my boots, despite making me look like Michelin woman) we started the scramble up the scree towards the summit. There was a point, just after the bridge if you know it, where we all fell silent. The walk was super steep and it started hailing! I somehow managed to take a video but it’s just a bit of dodgy footage where everything looks black and you can hear the rain – not exactly Bear Grylls but it was pretty funny. 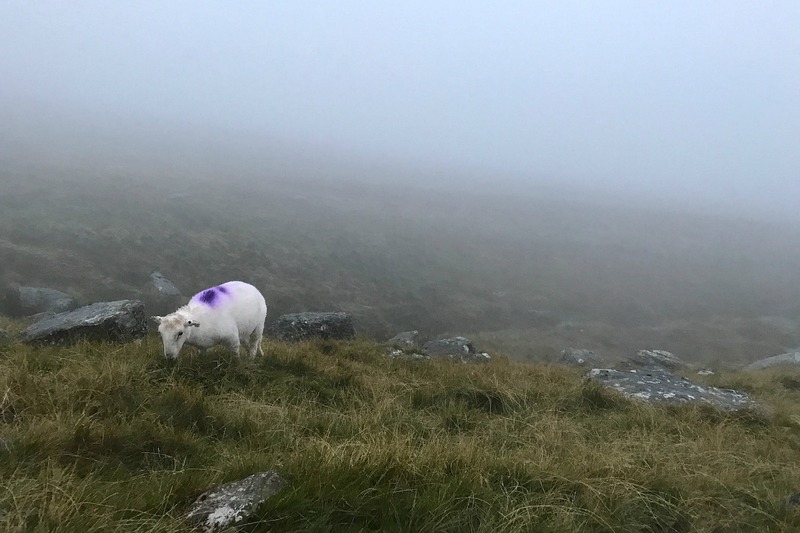 I think my sense of humour definitely helped get me up to the top – I mean you can’t help the weather can you? I just had to keep thinking this is so ridiculous it’s funny, and so long as I was warm under my waterproofs I was fine. By the time we approached the summit the wind was so strong you could just stand with your face to it and feel it try to blow you over. 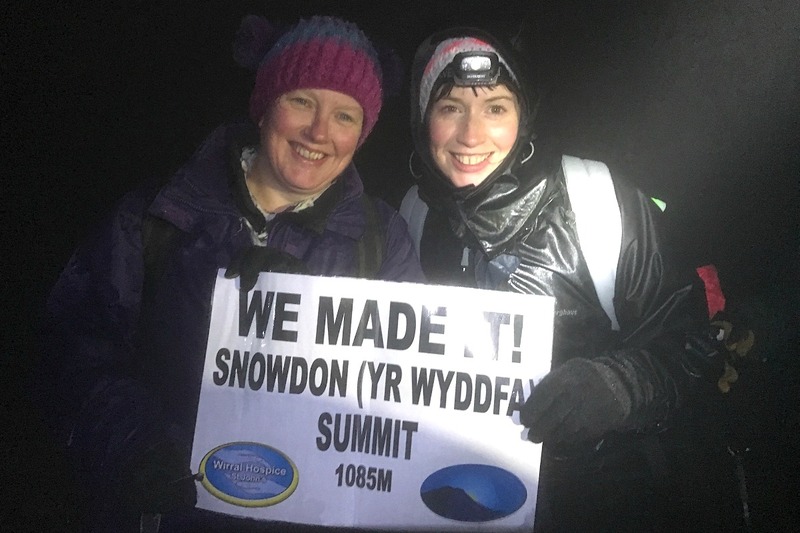 There was a point where we stopped and I thought we were going to be told it was too dangerous to carry on, but luckily it was ok and we managed to push on up to the top to arrive at about 5.30am. A loud cheer went up as we reached the top, we stopped to take some photos but we were all so wet and cold it was kind of funny to watch us try to turn our phones on, my fingers could not make my phone work for a while as they were so slippy. We got there in the end and after about ten minutes at the top began our descent. The plan had been to hang around to watch the sunrise, but it would have mean at least an hour at the top and in those conditions it was not going to happen. We must have walked for an hour before the light started to come through and as you can see from my photos, it was still so foggy the visibility was almost nil. 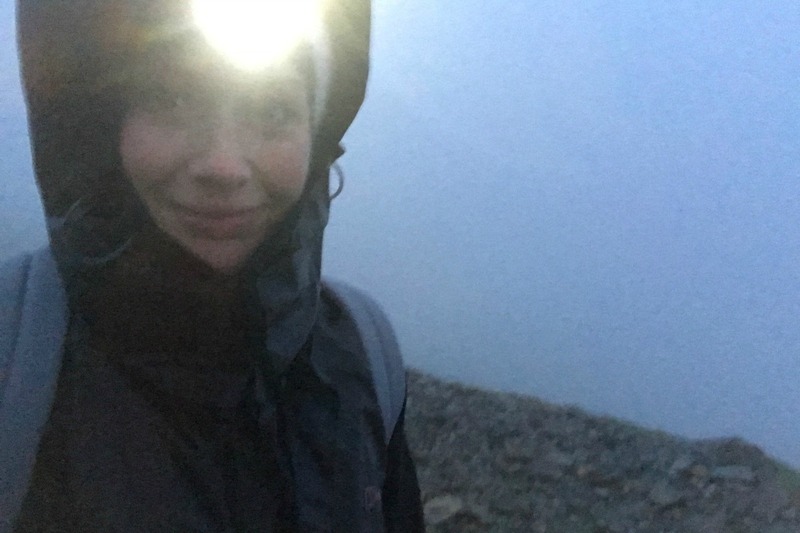 I was so glad to see some daylight though, I have to say the hardest point for me was just after the summit, when the rain was so bad I could feel my waterproof trousers had given up and my legs were wet and cold, my face was freezing and I could feel the wind on my eyeballs and it was chilly! Once the sun came up and we walked further down out of the fog, the views were gorgeous and I started to wonder why we hadn’t just done the whole thing in daylight to see where we were going! 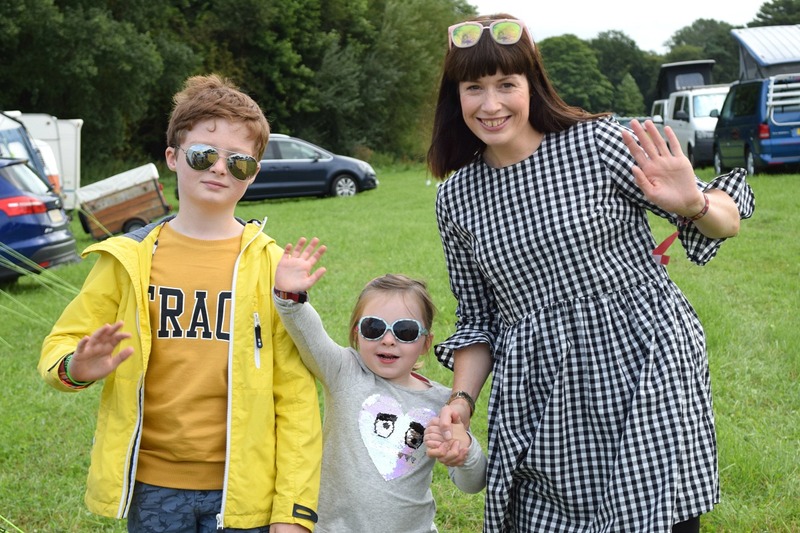 I mean it would have been easier, but not so much of a challenge – and it was the challenge that helped us raise so much money for the hospice. 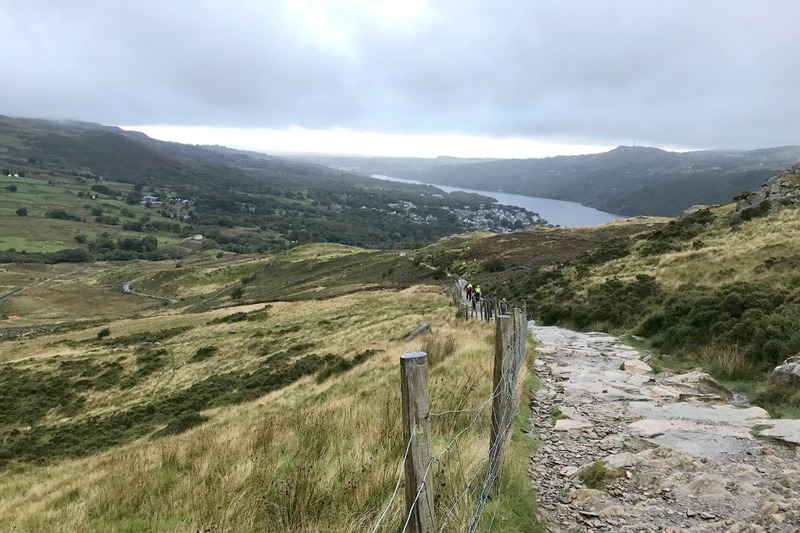 As I write I have raised £1,170 – almost double the target I set myself of £600 and I am so, so grateful to everyone who sponsored me and helped me raise so much. 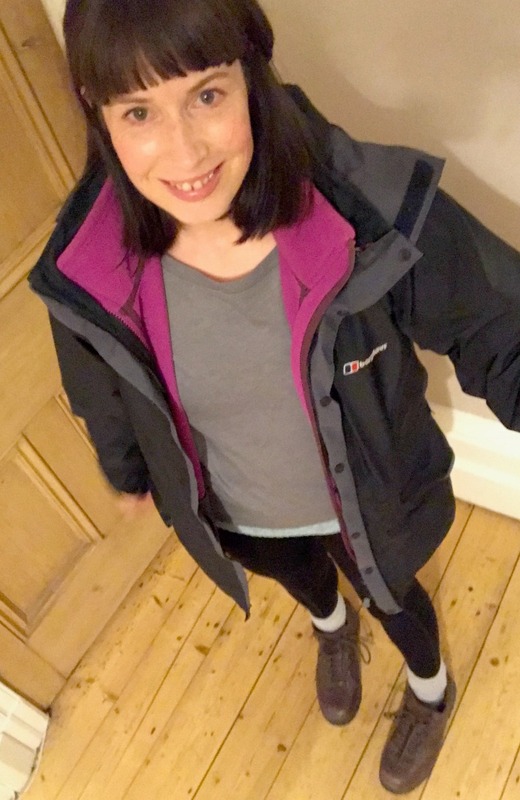 It’s a fantastic amount of money for an amazing cause, I know there are so many people asking for sponsorship for various challenges and I am touched that people wanted to donate to this one. 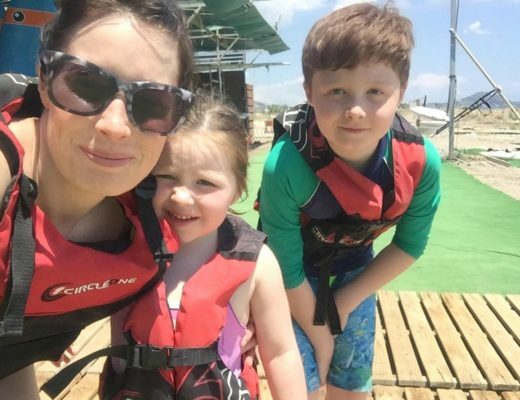 The hospice is funded partly by the NHS but mostly from money raised through things like this and it is so important that we keep this going for the sake of excellent local hospice care. Death and dying is something we don’t talk about enough and when it comes to the point where you are staring it in the face you start to appreciate more every bit of help and kindness you encounter. 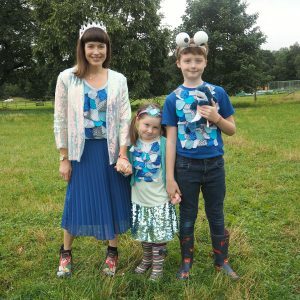 The hospice really did help me and my children through the worst time of our lives, and I know it made the end of Roger’s life much easier to bear and more comfortable. Obviously I can’t speak for him but to have somewhere to go that provided all the medical care he needed in a much nicer environment than a hospital, well you just can’t put a price on that. Getting a bit wet and tired was more than worth it to raise money for this cause and I’d do it all again in a heartbeat. Thank you again and I’m off to find my next challenge… it gives me something to focus on other than real life! If you’d like to donate you can so so online through my Just Giving site, thank you!